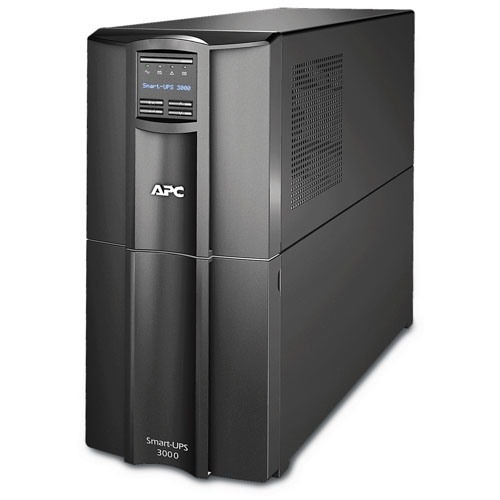 As soon as the power fails, an APC Smart-UPS immediately provides emergency power to all connected equipment. Because an APC UPS automatically does this you prevent unwanted outages of, for example, a PC, server or switch. With the supplied Powershute software you can even have critical IT hardware automated and controlled shutdown. This prevents data loss, downtime and physical damage to hardware. In addition, a Smart-UPS protects connected devices against peak voltage, among other things, caused by lightning. This APC emergency power supply is ideally suited for (small) business use. With the help of the SmartConnect ethernet port you connect the Smart-UPS easily with your network and you can easily monitor it remotely. This can be done via the secure APC mobile web portal or via integration with Kaseya or Connectwise. In addition, the UPS can send a shutdown signal via the network to multiple physical and / or virtual servers via the optional APC Network Management Card (AP9630 / AP9631) and can be easily remotely managed via snmp. Of course, the ups can also be operated by means of the LCD screen. The internal battery cartridge (RBC55) can be easily, safely and independently replaced by the user. 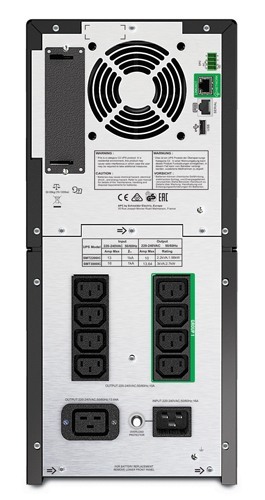 This without having to disable the APC SMT3000IC or connected equipment. This way you can easily and cheaply extend the life of the APC Smart-UPS and your equipment will always stay online. The factory warranty of the SMT3000IC is 3 years, with the exception of the battery cartridge, a manufacturer's warranty of 2 years applies. Both are extended by the APC service pack (WBEXTWAR3YR-SP-04) with 3 years to respectively 6 and 5 years.